Our friends got married yesterday! It was wonderful and we think they are both the best, good job friends! They’re both very smart and very cool and this is the start of a beautiful marriage. Hooray for love and large parties with a lot of strange traditional elements! We had an amazing time playing the COIN game Falling Skies this weekend and it was pretty neat! It went a ton faster than we’re used to with COIN, in part because we absolutely annihilated an overconfident Caesar, setting off a series of events that ironically wound up costing us a victory since it made it impossible for the Romans to mess with the competing Gallic tribes. Delightful game! All of Emily Dickinson’s 1,789 poems will be read, starting at 6am. This will take 14+ hours. It seems like maybe someone made a bet? Or like is this how they keep her vengeful ghost contained? Yeesh. Wow. Welp, it’s definitely a good way to remember a great poet and hear some of her work! Like any particular piece. Because this is all of them! There are four sections: K-3, 4-6, 7-9, and 10-12. Round one starts promptly at 10am, and there are trophies for 1st, 2nd, and 3rd in each section. Entry is free! Bring a chess set and a clock if you’ve got them, and a bagged lunch. Be the coolest person there by bringing 10 chess clocks. New week, new team: this time you must construct your team entirely of people who have one larger limb. That’s right, it’s going to be like Hellboy and then exclusively asymmetrically designed 90’s characters almost all from Rob Liefield! Affinity Konar, whose book Mischling is about twin sisters who fight to survive the evils of the second world war will speak to Lee Boudreaux about the more obscure mechanics and secrets of the Final Fantasy series just kidding no it’s probably about the book Mischling which sounds both terrifying and inspiring. Anthony Doerr calls it “One of the most harrowing, powerful, and imaginative books of the year”! The GPL and the Traprock Center for Peace and Justice celebrate International Peace Day with children’s books! Patricia Hynes will speak about this collaboration, Kat Lyons will read aloud from some books, and you’ll have refreshments! Delightful day for the whole family. The winner of this PPTQ will qualify for the Regional Pro Tour Qualifier and a chance to play in the first Pro Tour of 2017 and possibly to qualify for the Pre-Pre-qualifier where you can almost qualify to qualify to place in the 2018 ULTRA TOUR. It’s $30 with a cash pay-out based on attendance, decklists required, $30 entry fee! Get together with your fellow creative types to discuss the business and the art of making comics! Lots of locals have done some really impressive and interesting artwork and they’re happy to talk to you about what works for them! Plus you get to play fun drawing games to get the creative juices flowing and you’ll probably make a friend! Writing a resume is terrifying and there’s not really a 100% correct way to do it. Get some help. For real, if not this then ask your friends. But like, this one is probably a good place to start if you’re beginning the process. Good luck! Dev teams! Are you an Agile team? Do you want to be one? Come to share and learn! There’s a show and tell focus this month, where people will show their current agile-ish processes followed by some Q&A and discussion. Last Call Media, Queen Lake Consulting and Knectar, the company founded and staffed entirely by hummingbirds, will all be in attendance to show you what’s up! Forbes Library was dedicated October 23rd, 1894 and nicknamed the “Castle on the Hill”. See images of the building, collections, and staff and share your own memories of the library! Find out how the library managed to fend off the Mirror-Ships of the Shifting Realms! Discover the secret of the statue that weeps tears of blood whenever an animal is harmed on the grounds of the library! See where the defense mech is stored! An educational experience indeed! Happy birthday to Modern Myths! A party is in order! Food, soft drinks, vegan cupcakes, and door prizes for everyone! Also a GRAND PRIZE of a Lifetime VIP pass that comes with $140 in store credit! John Clapp will talk about his forthcoming book, “The Lost Village of Roberts Meadow”, focusing on the rise and fall of this mysterious village’s wool and leather industries. While the village’s early days in the pocket dimension next to ours were prosperous, they had a real hard time as the Bargheist attacks grew more frequent, making the Leather Trees and Wool Dragons harder to harvest from. Take in the beauty of the Connecticut River in a 16-person Dragon Boat and fight off the mer-people that populate it using the on-board Dragon Cannons, high score gets a t-shirt! You’ll also learn about the natural and cultural history of the river with Betsy Powell, founder of Paradise City Dragon Boat, and Laurie Sanders, co-director of Historic Northampton and naturalist! Laser Tag at the Library! Lasers! Lasers in the hands of children. This is what we’ve come to, having our youth vaporize each other for our entertainment. I can’t believe libraries are in support of this but we can do nothing but inform you of the terrible truth. Write your congressperson to ask them to end child-vaporizing! From the creator of Ladybug Girl and Three Bears in a Boat, this funny and endearing tale of friendship is perfect for fans of The Adventures of Beekle, but absolutely NOT a good fit for fans of any other book. It’s a real specific niche audience. Have fun with your kids learning about a silly monster and a boy becoming friends, becoming enemies, and… becoming friends again? It’s almost too beautiful to hope for. Judy Garland, Tom Drake, Margret O’Brien, and other names that aren’t Judy Garland so we don’t recognize them make this a musical that’s hard to beat! It’s about… singing mostly. St Louis probably comes up? But likely that’s a distant second to having attractive people with nice voices sing about life and love! The Cuban story of Guantanomo, as told by Cubans. Cuban perspectives on a US military base in their territory, occupied by the US since 1903 and used as a convenient point for extradition despite ostensibly being enemy territory. This is a free film screening followed by discussion. Learn more about a topic that you’ve likely got a real surface-level understanding of despite like a decade and a half of recognizing the name Guantanomo. Cowboy Bebop is a fine show with some smooth as heck designs and a killer soundtrack that all the neat folks like. The movie isn’t as good as the show! But it’s fun! Plus it’s on a big screen. We like that Cowboy Bebop made the show’s universe feel large even though it was all in the Solar system. Kind of like Firefly. Kind of like Firefly in a LOT of ways! A look at the late, great Leonard Nimoy and his most beloved character, Mr. Spock! Written and directed by Leonard Nimoy’s son Adam, and narrated by Zachary Quinto, it includes interviews with both the original cast members and the new series cast members! Spock is delightful. He’s so emotionless and cold except like every other scene. Students $4, Members $6, and general admission $8! An all-day D&D mega-adventure as you take part in a special excursion against the giants! It’s $20 per player for a full day of gaming including pizza and a soft drink. You need to register and pre-pay ASAP to guarantee a spot, though! There’s a limit of 15! Also, you shouldn’t fight giants they’re so big. The 7th Sea RPG! Set sail and be an adventure-pirate! Wear your ruffliest shirt! RUFFLIER! Yes, now you’re ready. Buckle up your swashes and try to steer toward the fun-rogue side of piracy instead of the deprivation-and-terror side of things. Oh, although you could totally make this like a horror RPG, crew all slowly losing hope as food goes low and the wind dies, strange sounds below deck… oh! Or just straight up a Sunless Sea campaign! The best thing you can possibly do with your night! It’s got the most charming and personable human being in the Valley hosting it so that’s a big draw and also this week they’re pairing Language and Weather, the Natural Couple That We All Agree Makes Sense! We’ve got linguist Brian Dillon talking about how we hear what we want to hear and then we’ve got weather enthusiast Jasper Lapienski talking about the local weather, using data going back hundreds of years! 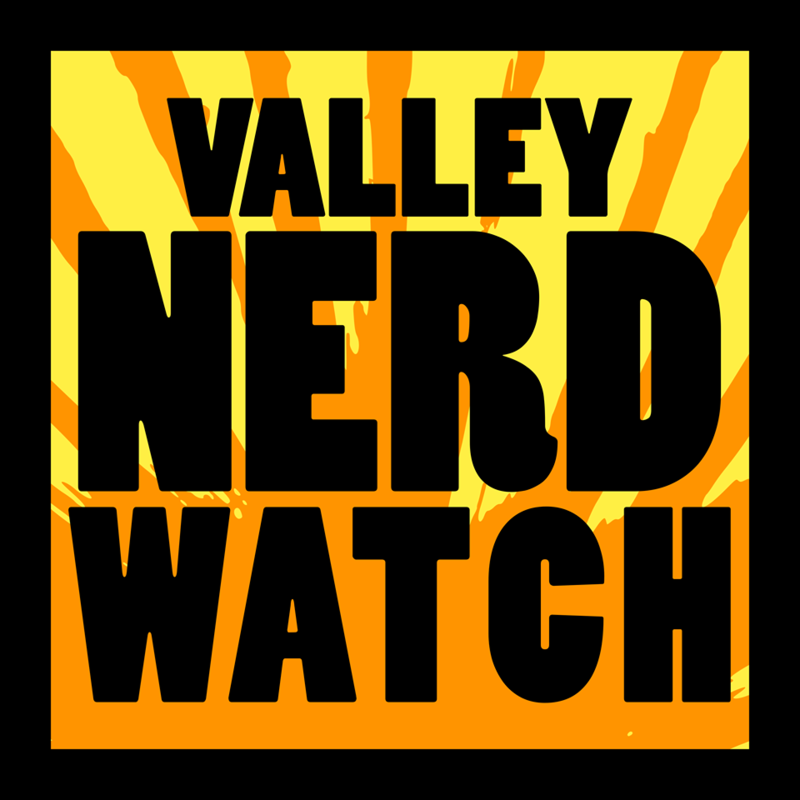 That’s right the Valley knew future nerds would want to know about the weather so they got on that quickly.